Robert Darnton, Carl H. Pforzheimer Professor and director of the University Library at Harvard, is social historian of the Enlightenment and expert on "information societies" both old and new. One of his many interests is popular song. Some recordings of songs first appeared in his "Early Information Society" project, an early venture into digital history by the AHR in 2000 now, alas, disappeared from the web. (Regrettable not only for the songs, but its cool map of Parisian cafés featured in 18th-century police reports). Material about the songs, however, has been reworked in various contexts, lately in Darnton's 2012 book Poetry and the police. For those who want to hear the music, Professor Darnton has given a number of public lectures - what he has coined his "Cabaret lectures" - with accompanying songs performed by French mezzo-soprano Hélène Delavault. Here is a short clip from Harvard, uploaded in 2009. Performed by Hélène Delavault and Claude Pavy (in 2010) on the Harvard University Press website. "In spring 1749, François Bonis, a medical student in Paris, found himself unexpectedly hauled off to the Bastille for distributing an “abominable poem about the king.” So began the Affair of the Fourteen, a police crackdown on ordinary citizens for unauthorized poetry recitals. Why was the official response to these poems so intense? Robert Darnton follows the poems as they passed through several media: copied on scraps of paper, dictated from one person to another, memorized and declaimed to an audience. But the most effective dispersal occurred through music, when poems were sung to familiar tunes. Lyrics often referred to current events or revealed popular attitudes toward the royal court. The songs provided a running commentary on public affairs. 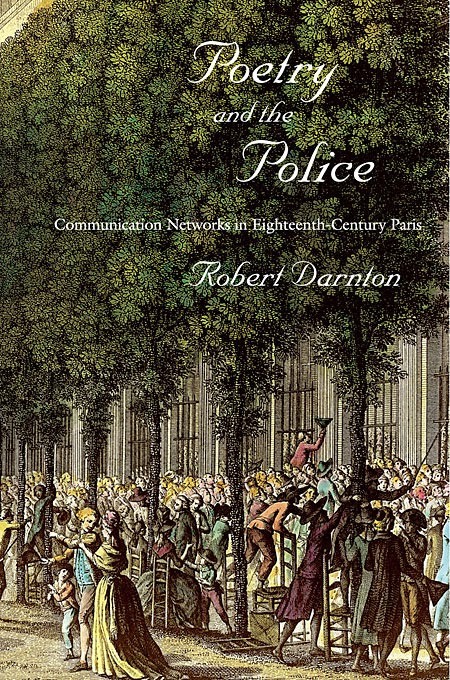 Darnton traces how the lyrics fit into song cycles that carried messages through the streets of Paris during a period of rising discontent. He uncovers a complex communication network, illuminating the way information circulated in a semi-literate society."